Commercial Fingerprint recognition systems are becoming more and more popular as they give a company the best form of security when it comes to door access control to their facilities. Cards, keys, and pin codes are easily compromised. Allowing access to a facility with our biometric fingerprint locks will ensure the person is who they claim to be as their finger is the key! Our biometric fingerprint locks are the best available products in the industry and we stand behind each and everyone with great warranties and technical support. When it comes to protecting your people and assets Fingerprintdoorlocks.com is the best source. The ACTAtek system's capabilities extend far beyond even the most sophisticated door locks. 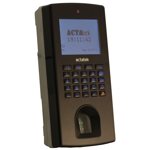 With the ACTAtek system, the times and days that a user has access can be fine tuned. Detailed logs are recorded each time someone attempt to access the area. All of this configuration and management can be performed using the same web browser that you are viewing this web page with!! No extra software, hardware of licensing is required. 2012 Model with RF Remote Access!! The 1Touch XL features a unique design, robust features, and with its unsurpassed quality it will quickly become the market leader for secure and convenient door access within a home or office environment. Stylish and easy to use, this fingerprint door lock offers a sliding front cover that not only allows protection for the optical sensor against the outdoor elements but also activates (wakes up) the fingerprint scanner when lifted. Having the ability to register up to 99 users (admins, users, and guests) should provide a suitable user count for almost any need. 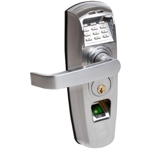 The 1Touch XL lock offers the ability to manage the registered users directly on the lock. Features a administrator built in audit trail directly on locks LCD display of the last 100 entries and their names. Offering the ability to search buy Name, Date, or ID, its your call how you would like to view the audit trail log! If you want a easy setup and configuration than this is the lock for you. 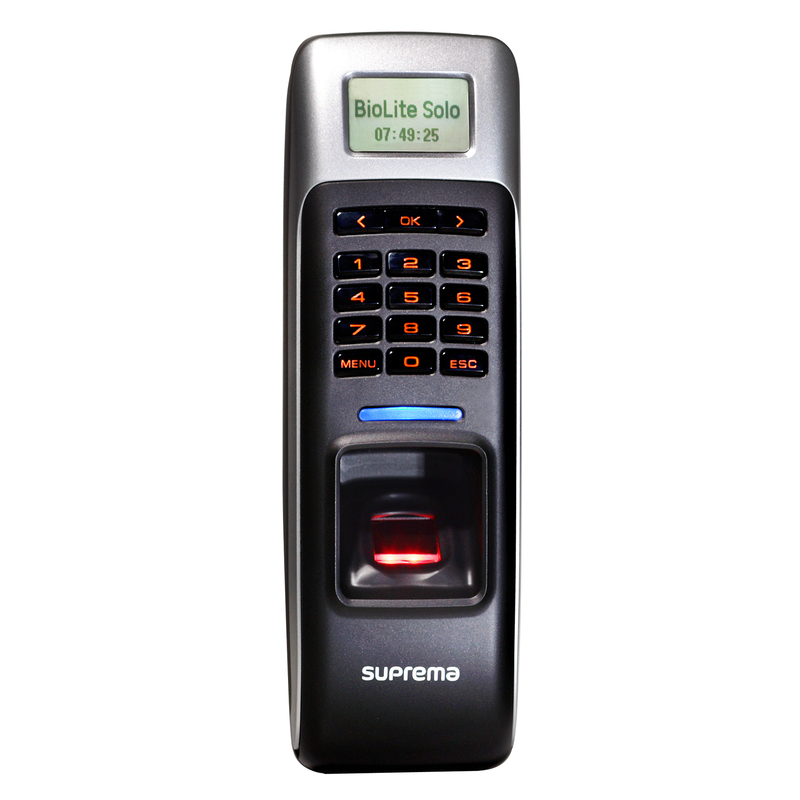 BioLite Solo is a simple standalone access control device providing biometric security and convenience. Using a graphic LCD and a keypad, it is very easy to enroll or delete users right on the device without any PC connection. BioLite's body structure has been comprehensively sealed against invasive moisture, dust and liquid. The ReliTouch was designed for both residential and commercial installations. For the residential consumer, this biometric access control door lock has unsurpassed features and functionality. While beautiful and aesthetically pleasing, with a wide variety of gorgeous architectural finishes, don’t be fooled. ReliTouch is a security system on any door, providing you with the versatility to manage access rights by PIN code or fingerprint (or a combination of both) to your residence. In addition, the access control and audit trail features give you the certainty of knowing exactly who has been in your home, at what time, on which date.